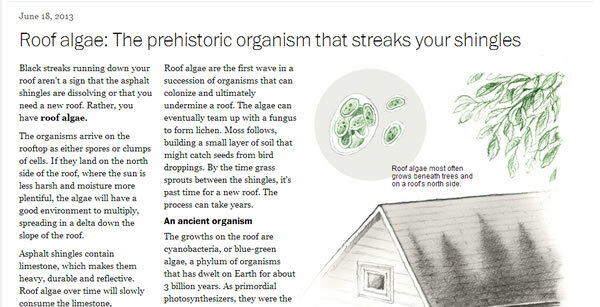 This article from the Washing Post does a great job of explaining what this algae is and how it affects your roof. There is an excellent illustration that you might find helpful as well as it shows the organism and how it affects your roof in great detail. If you have an algae problem with your roof then you need to call Dirty-Roof.Com.